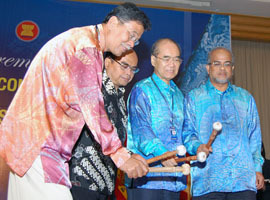 The Ministry of Education, Malaysia, hosted the 43rd SEAMEO Council Conference in Kuala Lumpur, gathering all the education ministers and high officials of the 11 SEAMEO member states in the annual meeting that took up issues on access, equity and quality of education, among other education policies and initiatives. 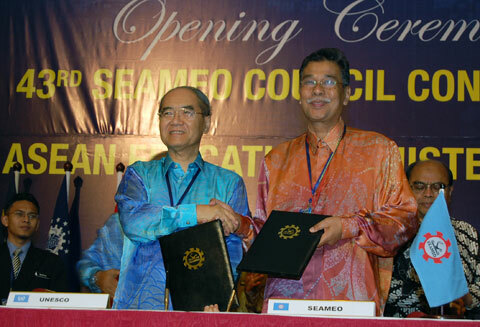 In coordination with the SEAMEO Secretariat, the 43rd SEAMEC was held on 13-14 March 2008 at the Mandarin Oriental Hotel. It was preceded by the ICT Conference and Exhibition on 10-12 March 2008 at the Kuala Lumpur Convention Centre. 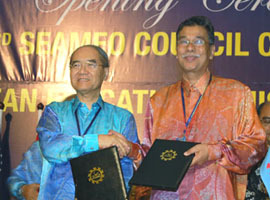 The highlights of this year’s council conference are the signing of the renewed Agreement between SEAMEO and UNESCO, the Policy Forum led by MOE Malaysia that discussed “Bridging the Education Gap: Improving Access, Equity and Quality – Southeast Asia and Beyond,” and a discussion forum on the progress of Education for All in Southeast Asia. 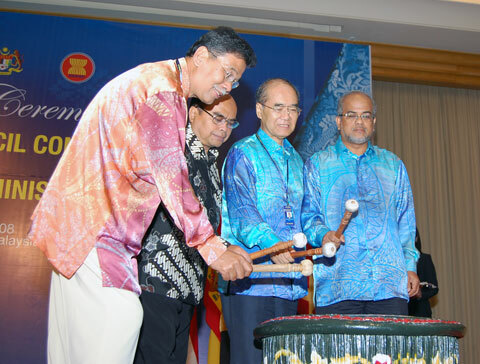 SEAMEO Secretariat Director Dato’ Dr Ahamad bin Sipon, Education Minister Bambang Sudibyo of Indonesia, UNESCO Director General Koichiro Matsuura and Tan Sri Dr Zulkurnain Hj bin Awang, Secretary General of the Ministry of Education, Malaysia, beat the ceremonial drum to officially open the 43rd SEAMEO Council Conference. Dato’ Dr Ahamad bin Sipon, SEAMEO Secretariat Director, and Mr Koichiro Matsuura, Director General of UNESCO, sign the renewed Agreement between SEAMEO and UNESCO that called for strengthened cooperation between the two institutions. Tan Sri Dr Zulkurnain Hj bin Awang, Secretary General of the Ministry of Education, Malaysia, Prof Dr Bambang Sudibyo, Minister of national Education, Indonesia and Dr Soeung Ratchavy, Deputy Secretary General of the ASEAN Secretariat presiding over the 3rd ASEAN Education Ministers Meeting.